Over the last week, Hyderabad based Celkon took the wraps off two Android KitKat smartphones namely Celkon Millennium Power Q3000 and Millennium Elite Q470. Now, the firm has come up with yet another offering in this lineup with the launch of the Millennium Vogue Q455 that is priced at Rs 7,999. The Celkon Millennium Vogue Q455 already arrived in the tech media reports last month as it was spotted at the Indian Gadget Expo 2014 held in Hyderabad. It was then claimed that the vendor is planning to release a slew of smartphones with the Android KitKat OS by the end of this year. As far as the specifications are concerned, the Millennium Vogue Q455 arrives with a 4.5 inch qHD IPS OGS display carrying a screen resolution of 960×540 pixels. It is powered by a 1.2 GHz quad-core Broadcom BCM23550 SoC with VideoCore IV graphics engine and 1 GB of RAM. 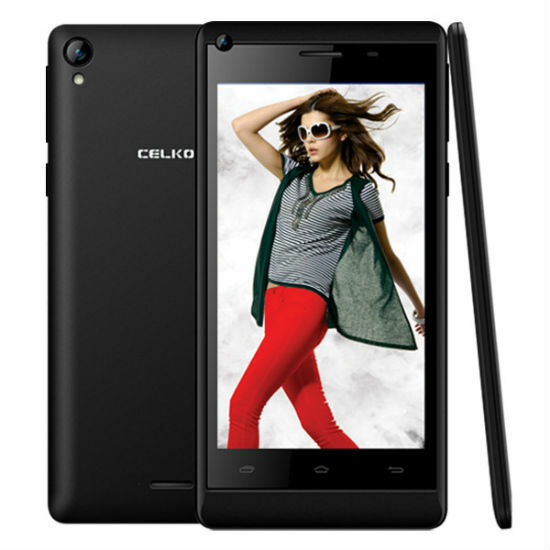 Furthermore, the Celkon smartphone features an 8 MP primary snapper that is teamed up with LED flash and auto focus and a 1.3 MP front-facing snapper. There is 16 GB of internal storage capacity that can in turn be extended by another 32 GB with the help of a micro SD card. Other goodies aboard the Millennium Vogue Q455 are 3G, Wi-Fi, Bluetooth, GPS and dual SIM functionality and a 2,000 mAh battery. The Celkon Millennium Vogue Q455 powered by the Broadcom chipset will definitely be a stiff competitor to the other offerings that are also based on this SoC. Some of them include Xolo Q600s and Xolo Q2000L and the entry-level Android KitKat based smartphones such as Lava Iris X1 and others.